I have to say that my little sample box is starting to look a little empty now, I didn’t realise how many I’ve actually been using up but glad I’m slowly seeing the bottom of it. This weeks product I actually took away with us when we went to Blackpool for the night and used it there for the first time and then carried on until I’d used it up. The product I’ve been using is completely new to me, I’d never seen it before or even heard of the brand. 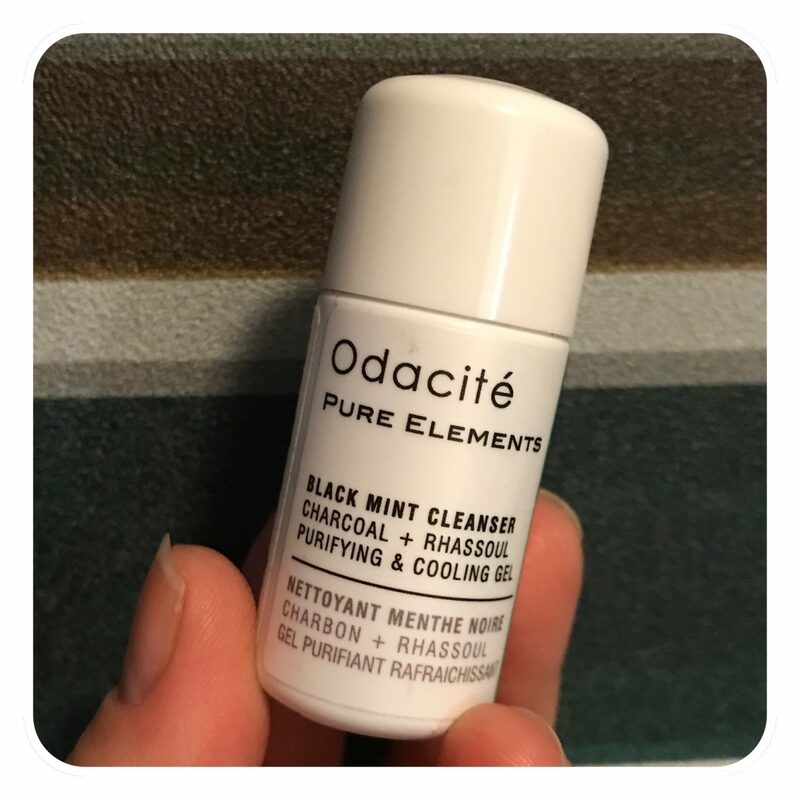 What is this weeks Sample I’ve been trying well, it’s from Odacité and it’s a black mint cleanser. Odacité are based in California and have become world-famous for their innovative formulas which are cruelty-free, clean, organic and natural. These are at the core of this luxury green brand as the founder, Valérie Grandury, was diagnosed with breast cancer back in 2004. Following her diagnosis, Valérie wanted to create a skincare range that was both healthy and beautiful, with ‘freshness’ being one of the main inspirations. It’s no surprise then to learn that all of Odacité‘s products are entirely free from synthetic ingredients and boast some of the freshest, organic natural ingredients that are sourced from around the world. Odacité was launched in 2009 and has enthralled skincare junkies and green beauty fans ever since. I’m really pleased to have come across this brand and product. I’ve never tried anything like this before. 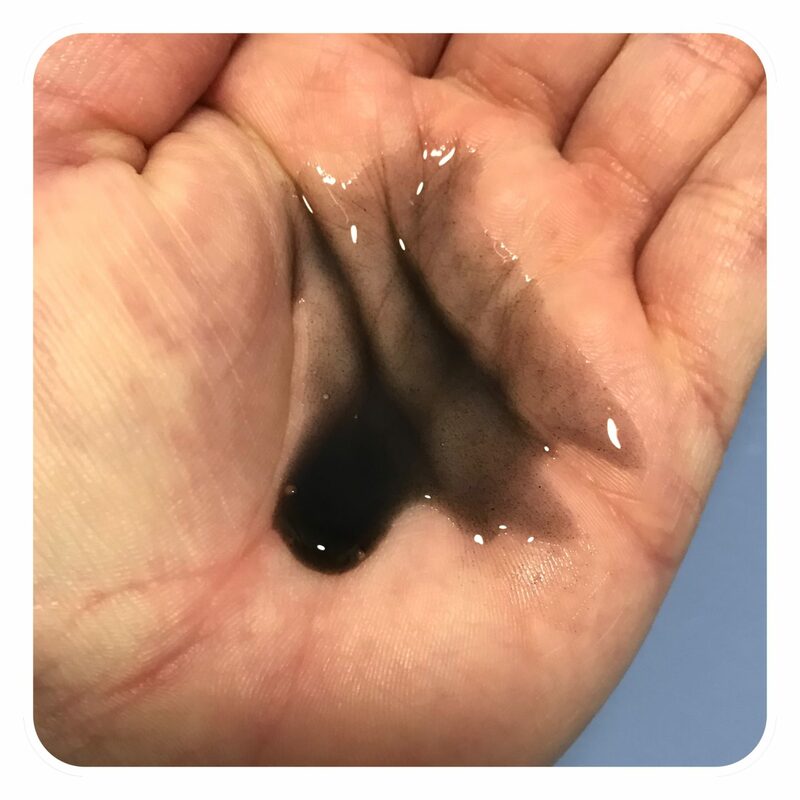 The Black Mint Cleanser is a purifying cleanser and would be better suited to those who have oily combination skin, prone to breakouts and acne. The texture of this cleanser has a thin gel-like consistency which turns into a light foam for a deep clean that feels instantly cooling and refreshing. My skin felt so fresh and clean afterwards and I really like the minty scent it has to it. You don’t need too much of this product and the only downside was that I had to use this a good 2-3 times to remove all my makeup from the evening, even though it will remove light makeup, I would say this is better suited to use in the mornings. I found that I like the fresh feeling to wake me up in the morning more than at night. Key active ingredients include Activated Charcoal and Rhassoul Clay to draw out impurities, and there’s Peppermint and Tea Tree to refresh and wake up a tired complexion, whilst also helping to reduce the appearance of pores. I would definitely buy the full size bottle of this as it was such a lovely product to try. It retails at £39 and is in a 100ml bottle. I think this is a good price for such a luxurious brand. I’d love to try some of their other products out. You can buy this here. Have you tried this product?? What did you think? ?